Google has declined to answer several questions related to an internal debate Google employees had about potentially suppressing The Daily Caller and Breitbart in the company’s search function. The Daily Caller News Foundation sent Google a list of questions in advance of its exclusive report, which revealed the discussion about suppressing right-of-center articles as a response to President Donald Trump’s election. Google issued a statement for that story, in which the company denied ever manipulating search results for political purposes. Is Google aware of other instances in which employees advocated for suppressing The Daily Caller or Breitbart? [Google engineer Scott] Byer wrote in his post: “Let’s make sure that we reverse things in four years.” He seems to indicate that Google employees should take actions to make sure Donald Trump doesn’t win re-election in 2020. Is that a use of official Google communications that the company approves of? Have other Google VPs been part of internal conversations about potentially suppressing conservative media outlets, or just [engineering vice president David] Besbris? Previous reporting by the Wall Street Journal demonstrated that Google employees brainstormed ways to manipulate search results in response to President Trump’s travel ban. Can Google guarantee that there won’t be a third example of Google employees seeking to manipulate search functions for anti-Trump purposes? Several high-profile Republicans stressed the need for Google executives to testify under oath following TheDCNF’s report. “Google execs need to explain what is going on here. Under oath,” Missouri senator-elect Josh Hawley wrote on Twitter. 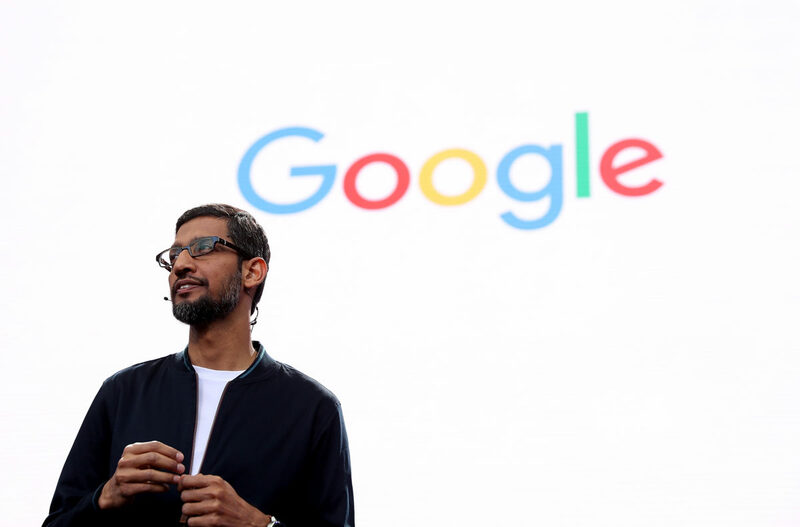 Google CEO Sundar Pichai was scheduled to testify before the House Judiciary Committee on Wednesday, before former President George H. W. Bush died Friday night. Because Bush’s state funeral is on Wednesday, Pichai will now testify the following Wednesday, Dec. 12.